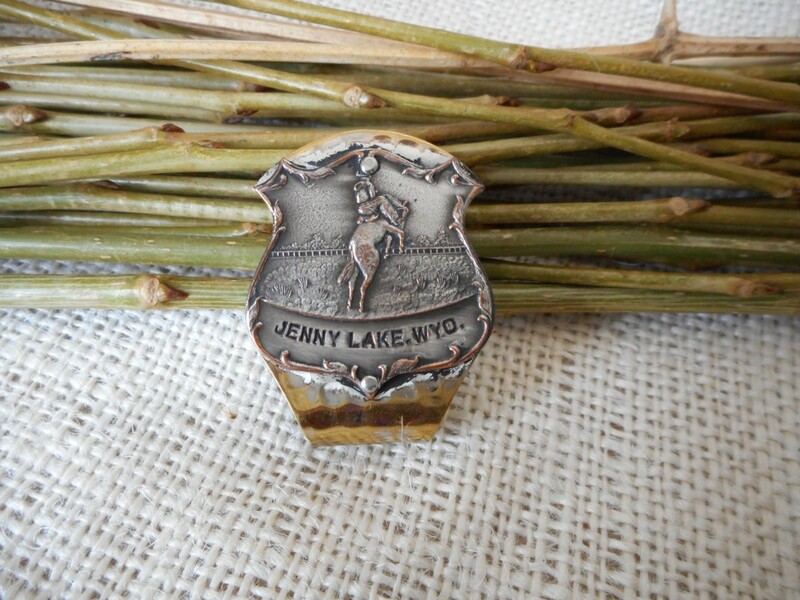 Jenny Lake, (Grand Teton National Park) napkin clip, circa 1950. Hammered sterling with jewlers bronze, and sterling overlay of a bucking bronc rider. 1.75" tall by 1.25"wide. Very unusual piece we've never before seen.